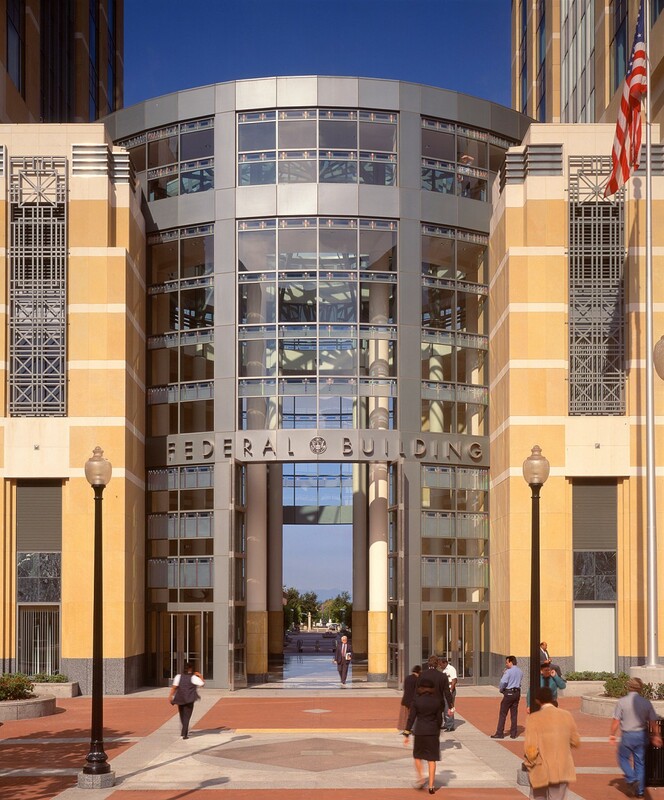 The Oakland Federal Building houses regional offices of various agencies of the U.S. Federal Government. Its entry rotunda is a highly articulated, glazed, five-story space crowned by bold trusses supporting a glass roof. 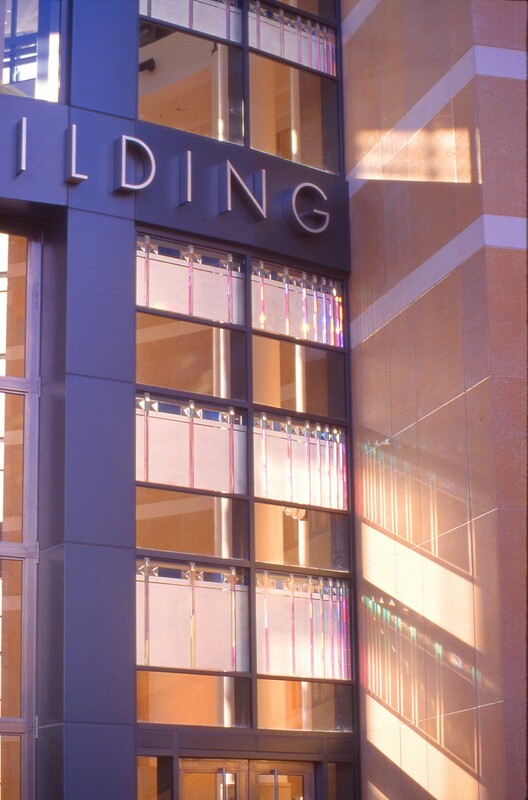 Working closely with KMD Architects, Ed Carpenter designed the curtainwall mullion pattern to receive bands of artwork integrated graphically and structurally with the rotunda architecture while providing colorful highlights inside and outside, day and night. 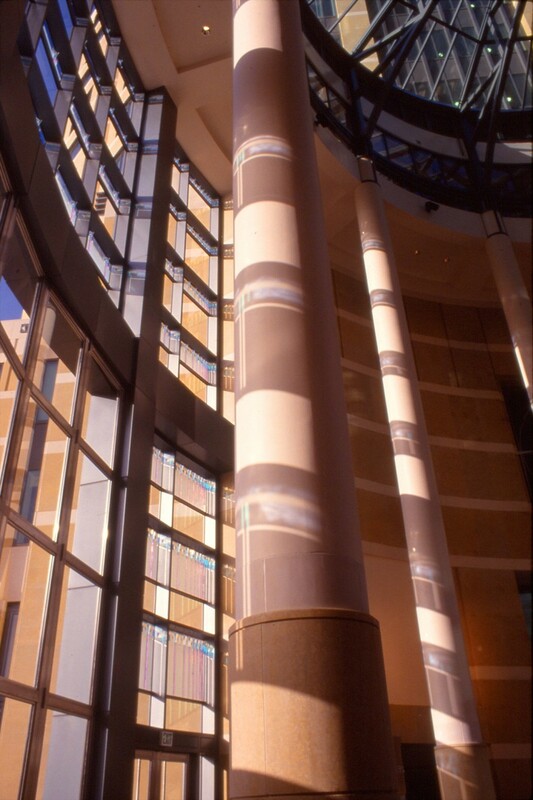 Within the approximately 1000 square feet of banding, the design called for progressive patterns of laminated glass which reinforce the height and roundness of the space while imbuing the rotunda with a stately kinetic light. 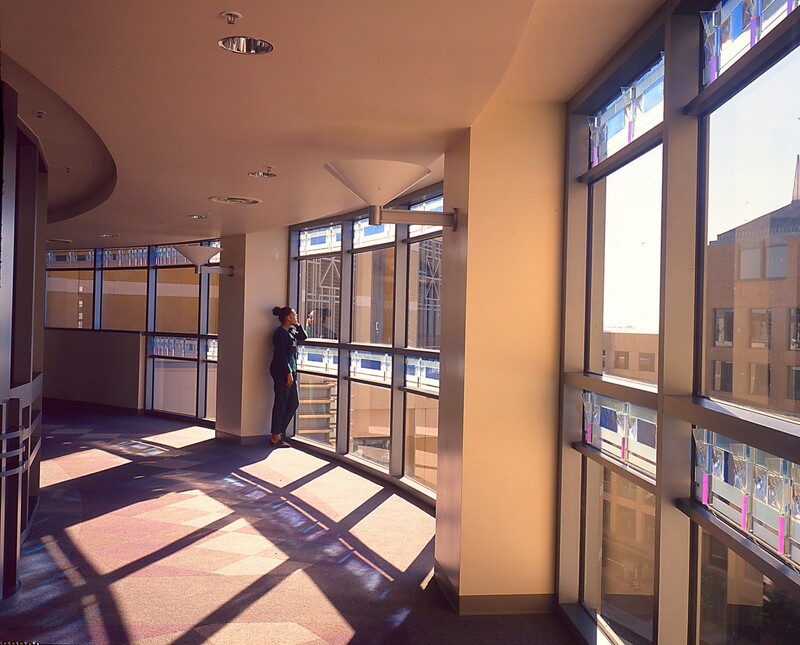 When direct sunlight strikes the glass, a brilliant array of subtly colored moving projections fill the rotunda. 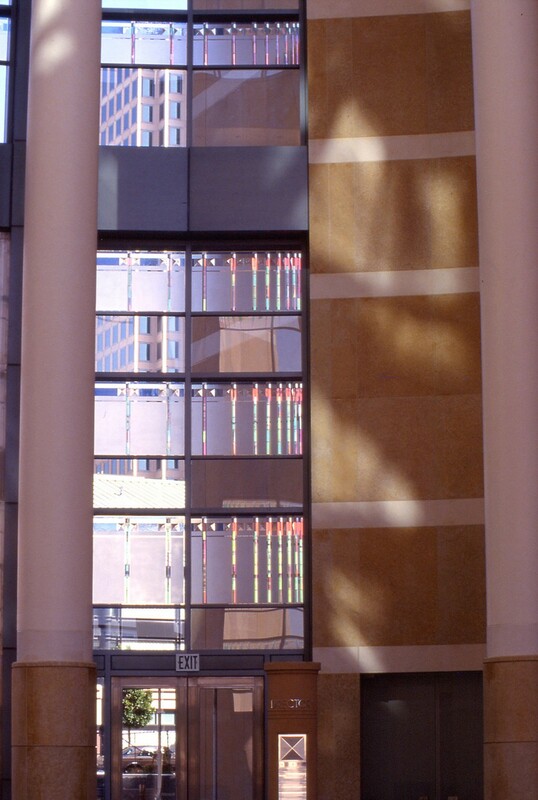 Conceived to have an equally strong impact on the exterior views of the building, the artwork’s sparkling details are visible from several blocks away. Dimensions: 128 panels totaling approximately 1000 sq ft.
Materials: Dichroic glass, hand blown glass, prisms, pattern glass, laminated to clear and sandblasted 1/4" tempered plate glass.